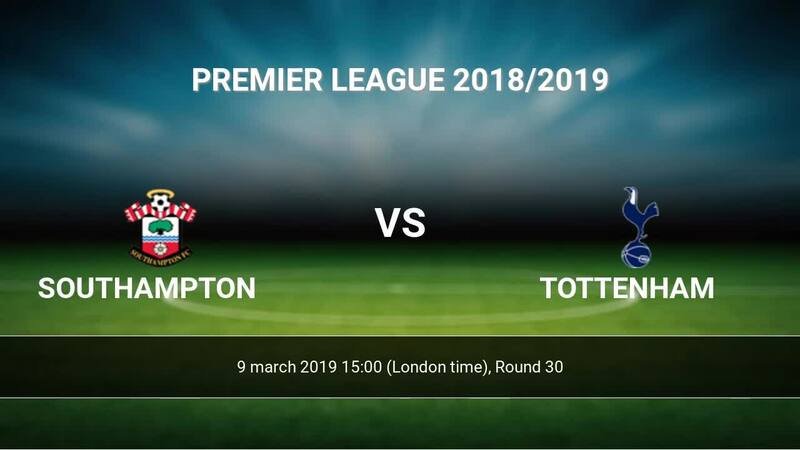 The match Southampton-Tottenham Premier League will start today 15:00. Referee in the match will be Kevin Friend. Team Southampton currently is on lower place in table (17 position). In 5 last games (league + cup) Southampton get 4 points. Players Southampton in Premier League with the highest number of goals: Danny Ings 7 goals, Jamie Ward-Prowse 5 goals, Nathan Redmond 3 goals. Most assists in the club have: Danny Ings 1 assists, Nathan Redmond 2 assists. Team Tottenham is at the top place in the table (3 place). Tottenham in 5 last matches (league + cup) have collected7 points. From 3 matches can't win a match. The best players Tottenham in Premier League, who scored the most goals for the club: Harry Kane 16 goals, Heung-Min Son 11 goals, Lucas Moura 6 goals. Players with the most assists: Harry Kane 4 assists, Heung-Min Son 5 assists. Injured players Tottenham: Kieran Trippier. Direct matches: usually ended with winning of Tottenham. 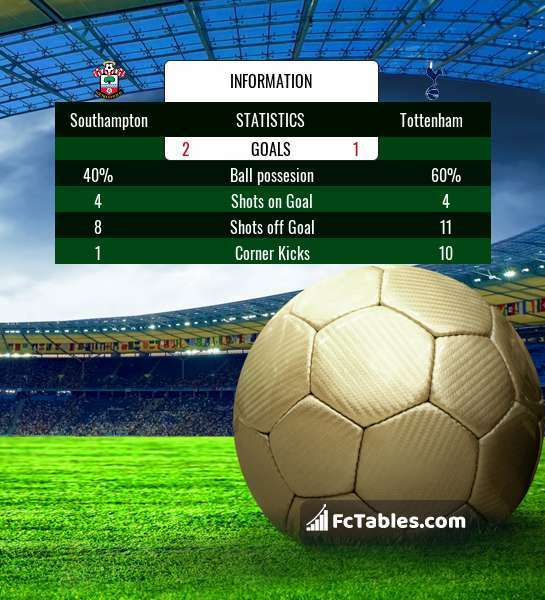 Balace of both teams games are: 8 won Southampton, 15 wins Tottenham, 3 draws. In 14 matches the sum of the goals both teams was greater than 2.5 (Over 2.5). On the other hand, 18 matches teams scored more than 1.5 goals (Over 1.5). In 14 matches the both teams have shot at least one goal.